Depart London on your scheduled, overnight flight to Shanghai International Airport. 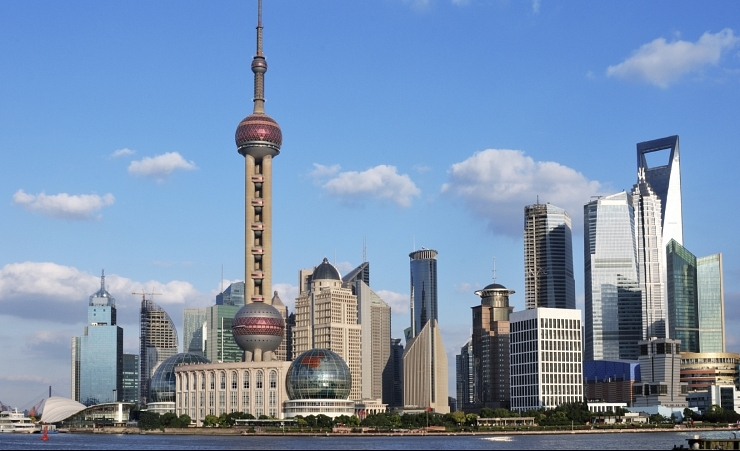 On arrival in Shanghai you will be met by your local guide and transferred to your hotel before going out for dinner. Time permitting, after dinner you will experience your first taste of the city with a visit to the magnificent Bund, then a walk along Nanjing Road, the main shopping area in Shanghai. Following breakfast, you will embark on a full day tour of the city, taking in the delights of the famous classical Yuyuan Garden, the French Concession and Tianzifang, the arts and crafts enclave in the French neighbourhood. After lunch you can saunter around Xintiandi - 'The City's Living Room', a multifunctional entertainment district with unique 1920's style stone gate buildings known as 'shikumen'. After breakfast, you will be transferred to the airport for your flight to Wuhan, where you will continue to Yichang to board your ship for the four-night Yangtze River Cruise which will tour the Three Gorges Dam and breath-taking scenery along the way as you cruise upstream. The cruise will set sail to reach your first shore excursion the Three Gorges Dam itself and the Five Stage Ship Lock viewing platform, from where you can see the impressive giant ship elevator capable of lifting a 14,000 ton passenger liner! 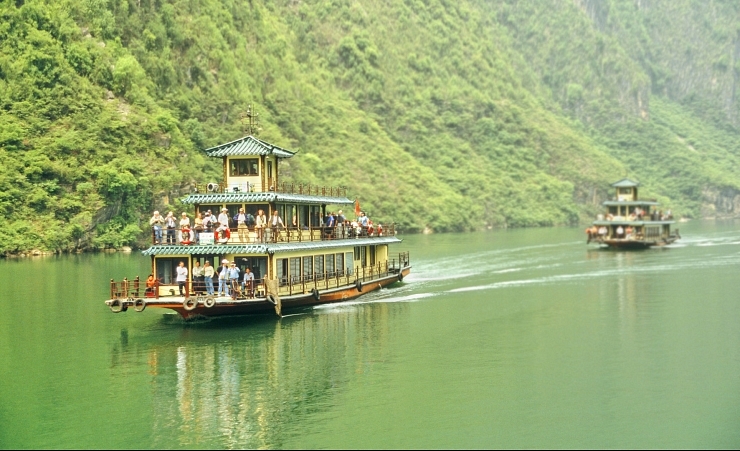 * In the afternoon, you?ll sail past the Xiling Gorge, the largest and most famous of the Three Gorges. *A ride in the elevator can be booked locally at an additional charge. Following breakfast you will take a tour of the Shennong Stream, a zigzagging watercourse where local inhabitants line the shore. You will then sail to Wu Gorge, the prettiest of the Three Gorges followed by Qu Tang Gorge, the shortest. 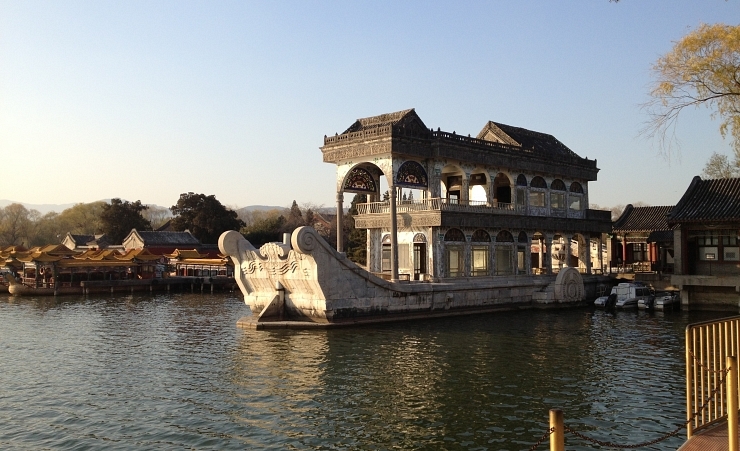 In the afternoon there is the option to take a tour of the White Emperor City, an ancient temple perched at the top of an island in the middle of the river. On the final day of the cruise the ship will sail to the Fengdu Ghost City, thought to have been the place where souls must go to pass three tests to enter the afterlife. Disembarking the ship at Chongqing you will travel to the capital of the Sichuan Province, Chengdu. Your guide will show you around the People's Park, where locals relax, mingle and exercise, then enjoy a stroll through the ancient streets of the Wide and Narrow Alleys which have been renovated to their former architectural glory. 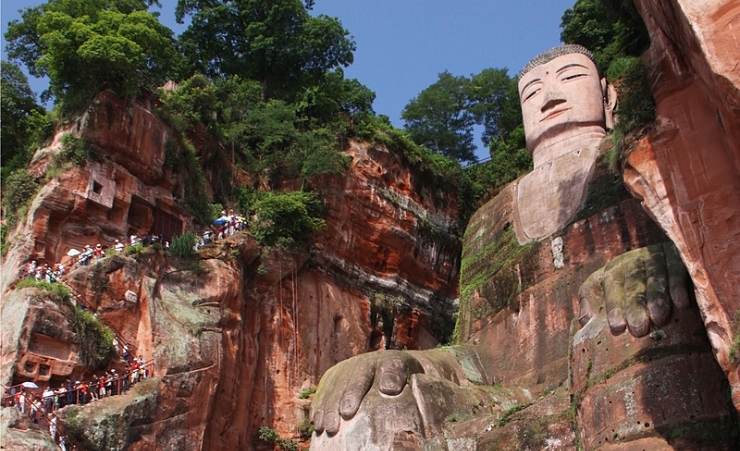 Today takes you to Leshan, famous for its magnificent riverside cliff-carving of a giant Buddha which is the largest stone-carved Buddhist statue in the world, viewed from a boat on the river. Continue in the afternoon to the old town of Huanglongxi, a 1700 year old settlement restored to retain its old-world charm. In the evening enjoy a delicious Sichuan meal. Optional excursion (payable locally): Sichuan Culture Evening Show - Special dance and culture show highlighting China from the 14th Century onwards. 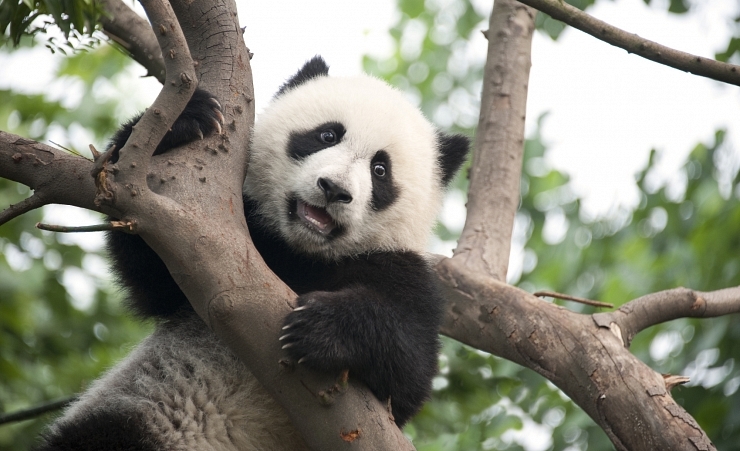 Perhaps a highlight of the tour, today takes you to experience a once in a lifetime trip to the Chengdu Panda Breeding and Research Centre, home to one of China's largest habitat of pandas. Strolling around a variety of enclosures, you can even pay an extra fee to be photographed next to one of these beautiful animals. 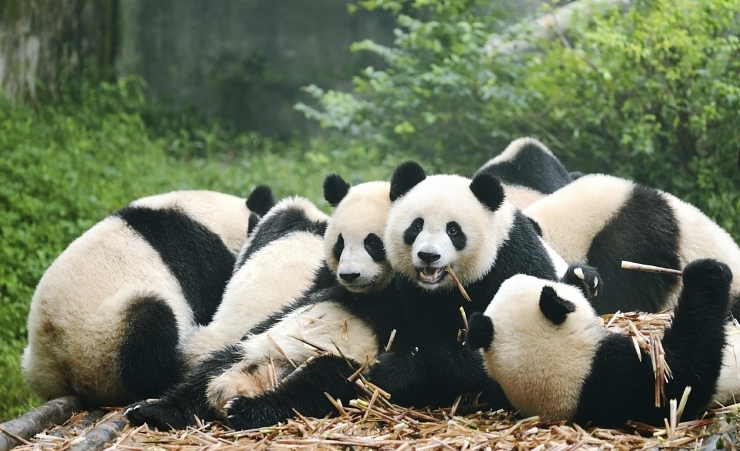 Have your photo taken with the Pandas at the Chengdu Breeding Centre - CNY3000 cash - please note you must advise the guide on arrival into Shanghai if you wish to take this optional excursion. In the afternoon board the bullet train to Xian. 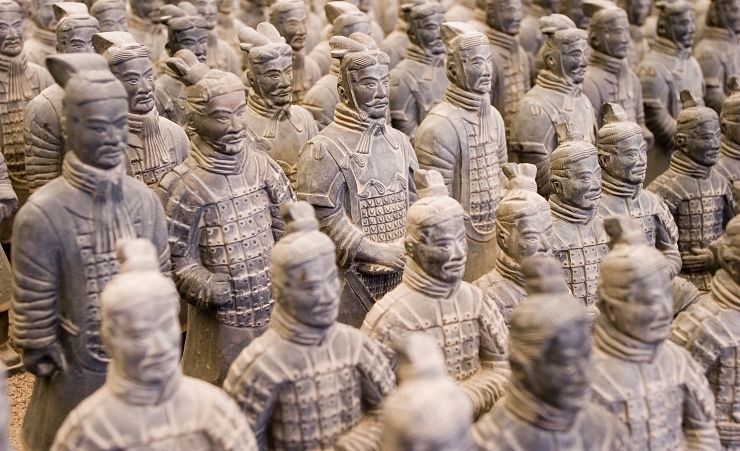 Known to many as the 'Eighth Wonder of the World', a visit to the spectacular Terracotta Warriors is an unforgettable experience. Taking nearly four decades to complete and over 700,000 workers, this incredible tomb was built to protect China's first emperor in his afterlife. Continue to the Muslim Quarter- a labyrinth of market stalls and shops, then in the evening travel back in time whilst you watch the colourful Tang Dynasty dancing show. A morning tour of Xi'an incorporates a visit to the historic City Wall, then the Wild Goose Pagoda, built in 652 to hold sacred Buddhist figurines. In the afternoon, transfer to the airport for your flight to Beijing where you will arrive in the early evening and spend the night at your hotel. Begin your day with a visit to the unique Temple of Heaven, China's largest existing masterpiece of ancient sacrificial buildings. The afternoon is left at leisure to relax and explore the city in your own time. 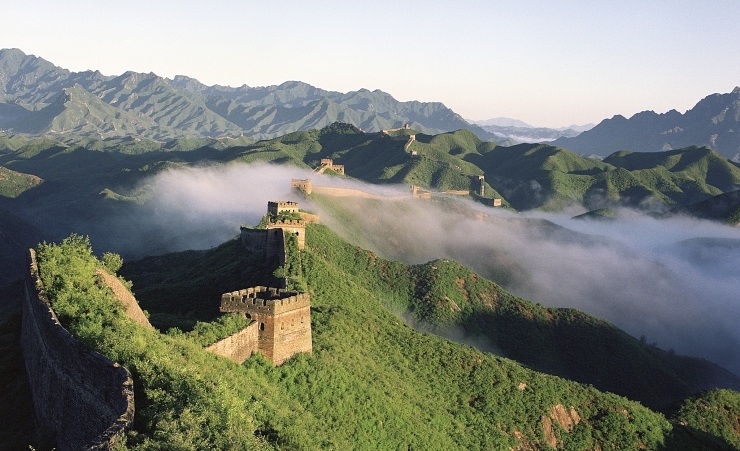 Following a stroll around the impressive Summer Palace, China's largest & best-preserved royal park, the tour will continue to the iconic Great Wall. Winding across deserts, grasslands & mountains & stretching over 5,500 miles, it was constructed over 2,000 years ago to guard the Chinese Empire against the Mongol invaders from the North. We've included a cable car trip to a viewing point to avoid the arduous steps. 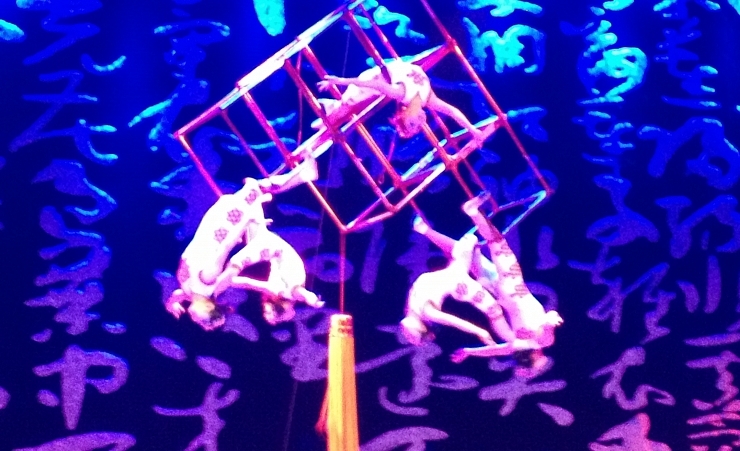 In the evening enjoy a mesmerising Chinese acrobatics performance. 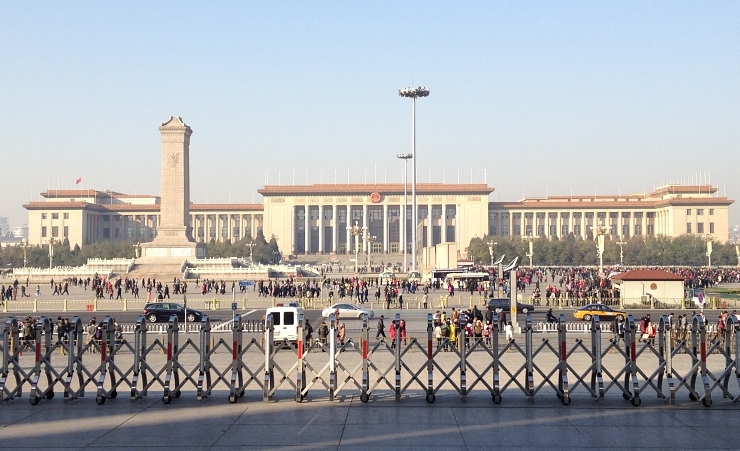 Following breakfast on your last full day you will visit one of China's most important political landmarks, Tiananmen Square. It is the world's largest city centre square & gateway to the Forbidden City, which houses the wondrous Imperial Palace. Conclude your trip with a traditional Peking duck dinner, a delicious way to end your tour. A visa is required for entry into China. We work closely with The Travel Visa Company who will be able to arrange your visa for you on your behalf. Please call them on 01270 250 590 & quote "Mercury Holidays". The cost of the visa is approximately £186.00, when calling the Travel Visa Company they will advise you of the most up to date fees. The visas take around 10 working days to issue & are only valid for 3 months from the date of issue. We therefore recommend that you apply for your visa 8 weeks before travel, however please be aware that your passport will be required for the application so make sure that you will not need it during this time. We strongly recommend that you & all members of your party are suitably insured as soon as you book your holiday. It is a condition of booking that you must have suitable travel insurance. It is important that you purchase travel insurance that suitably covers your participation in whatever activities you may undertake at the time that you make your booking. To assist you with this, we have arranged travel insurance in partnership with Holiday Extras. To arrange this please call 0800 781 4237, quoting 'WK830' for preferential rates. Please ensure you provide us with the name of your insurer, policy number & their 24-hour emergency contact number as soon as possible. Mercury Holidays will not be liable for any costs incurred by you due to your failure to take out suitable travel insurance from the date of booking. All flights are operated by China Eastern Airlines. Each passenger is entitled to 23kg of hold luggage & 5kg hand luggage not exceeding 56 cm x 36 cm x 23 cm in size. 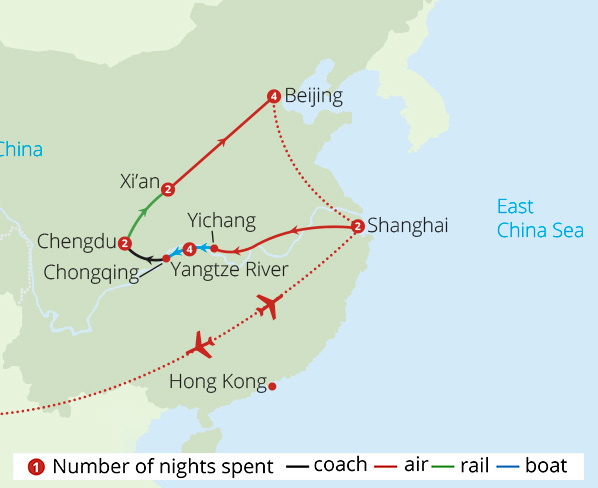 The bullet train leaves Xi'an at 13:10 & arrives in Beijing between 17:50 - 18:00. Please be advised that due to limited space your luggage will be transferred separately to Beijing on Day 11, therefore please keep your toiletries & a change of clothes in a hang luggage bag. It is your responsibility to check any health & vaccination requirements applicable to your booked arrangements. We can only provide general information about this. Health, hygiene facilities & disease risks vary from country to country. You should take health advice about your own needs as early as possible & in good time before your departure. Sources of information include; www.fco.gov.uk, http://travelhealthpro.org.uk, www.hpa.org.uk, your General Practitioner or a specialist clinic. This tour is accessible to most people with an average level of fitness & mobility. It involves full days of sightseeing, often on foot, and includes some climbing of stairs and getting on/off coaches and boats. This tour is not suitable for anyone with walking difficulties. The minimum number of travellers in your group will be 10 & the maximum will be 40. If in the unlikely event there are less than 10 people booked on your tour date then you may be asked to change to a different date. A full refund will be made available to you should this alternative not be suitable. 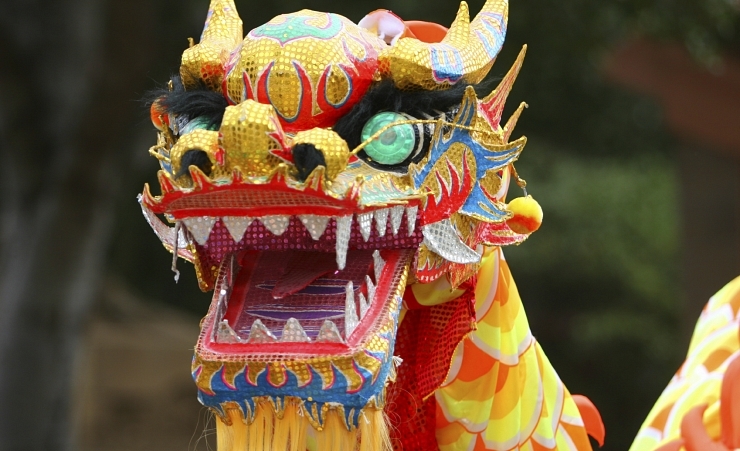 The currency in China is the Renminbi, known as RMB or CNY. It is often referred to as the Yuan. We recommend that you exchange your currency before you depart. US Dollars are widely accepted in China should you wish to keep an alternative currency on you. *Prices in pounds for illustration purposes based on exchange rate of £1=CNY8.6 & are correct at time of production; please check current rates at your exchange bureau. You will need to take some extra money with you to cover any personal purchases, such as souvenirs, laundry, extra drinks and snacks. Approximately £400 will be sufficient for the duration of the tour. There are some optional tours available to purchase locally and these generally need to be paid in cash. Therefore please allow an additional £100 if you wish to book these. Enhance your tour experience with our excellent range of optional excursions, to be booked locally in CNY. Prices are per person; please speak to your local guide. All optional excursions are subject to availability. If the group tour departure dates are not suitable for you and you would prefer a more personal & flexible experience than you can choose to book a private guide for your tour at a reasonable supplement. Please be advised at the present time the option to have your picture taken with a Panda in Chengdu is unavailable due to renovations. 30th August 2019 group will be staying at the 4* Jinglun Hotel in Beijing for 4 nights. Very well organised trip with plenty to see & do, accompanied all the way by a very knowledgeable national guide who not only told us the history of different historic sites but also gave us an insight of modern China while keeping it light & entertaining. Everything was arranged which made the internal flights & train rides so much easier than if you do it alone. All & all very pleased real value for money. Most hotels were of a good standard with helpful staff. With exception of the Titan Hotel in Xian which was really excellent. The staff went above and beyond what could have been expected. This was the best of the whole trip. All Hotels of a very high standard. This tour was excellent throughout, Max the tour guide was brilliant at his job and very knowledgeable. Hotels were excellent, all had good facilities and breakfast options, rooms were spacious and very nice. The Shanghai night cruise and Chengdu cultural shows were both excellent. The China guide Ann was excellent. Had a great time, every day was good for me as a lone traveler. Our tour guide Ann Le was exceptional, went the extra mile, funny, informative, enthusiastic. She really made the holiday a memorable one. The quality of the hotels and their locations were excellent. I was very pleased with all aspects of the trip to China. In particular i must praise our tour guide Alen, who was extremely well I, great experience/ knowledge and a great manner/ sense of humour. He went to great lengths to accommodate all interest, ages and abilities of our group. The local guides were also excellent. The river cruise was an interesting experience, very comfortable and clean. The restaurants used did their best to provide us with a wide selection of dishes. As a confident single traveler, i have been to many places, i felt that I alone in China was beyond me. Thank you Mercury for giving me such a wonderful experience. Very happy staff. We had a wonderful holiday A great way to get a taste of China. Our guide Max went above and beyond his duties, to ensure everyone had a great holiday. Some of the information on the tour sheet was inaccurate. No need for an overnight bag on the trip. Casual evening wear is an idea to take for the cruise, although stated but not needed. Would have liked more time in China Town in Shanghai for shopping instead of French Quarter. Did not feel Buddha was worth the two and a half hour coach trip there and back. All hotels are great and beds are comfy! Brilliant breakfast selection. Every aspect of the tour was first class from Allen international guide who was amazing. Everything ran smoothly, quality of tours, guides, Hotel and itinerary. Excellent tour i cannot fault anything, i truly had an amazing trip and i cannot recommend you enough. Well done i will book with you again soon. All hotels were of a good standard. all Hotels were excellent especially the choice at Breakfast. All hotels excellent with high standard rooms and facilities. The guide Max was incredibly good, Knowledgeable, helpful and considerate and a real gem. Everything on the tour was on time, no rushing about. We were not very impressed with the extension Hong Kong tour. We expected to be given a lot more information regarding places to eat, shop, ferries and some historical facts. We certainly didn't want to end the tour at a jewelry factory. Max our guide was marvelous throughout, giving us daily updates on weather timings, meals etc. The guides all had a very high knowledge base and pleasant manor. We felt in safe hands at all times, the coach drivers were brilliant too. The cruise ship was brill and the tour covered all that we wanted to see. 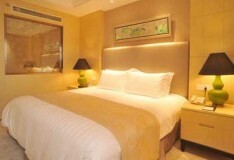 All the hotels were very good especially in Chengdu and Xian. A couple of the hotels, The Tibet in Chengdu and the Titan Times in Xi'an, were excellent but all accommodation was very good. No complaints at all. I was a single traveller and very impressed with the accommodation provided. Excellent standard of hotels, with good locations and facilities. Overall the hotels were extremely good. Allen our tour guide was absolutely brilliant and along with our group made the holiday very memorable. First class hotels, easily exceeded our expectations given the cost of the holiday. Also, room upgrades where possible free of charge. Could not criticise any aspect of the hotel selection. lighters not allowed on planes ,trains or sights of special interest, so have to be surrendered. Titan and Tibet hotels were excellent with great breakfasts. Would have been nice to just eat in hotel for dinner instead of being dragged out to inferior restaurants each evening. 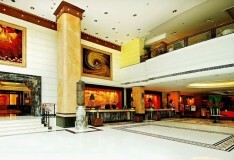 Overall the hotels were excellent in Shanghai, Chengdu and Xian. Beijing hotel is in a great location but needs some updating, though it had the best breakfast selection. Overall good selection of western breakfasts. We are glad that we booked the Executive room upgrade on the Yangtze Cruise. The room was very spacious, the dining room was relaxed, quiet with a great selection of food. Their was also a spa and swimming pool which we used. Couldn't have asked for any better hotels. Spot on for comfort and breakfasts. Thoroughly enjoyed the holiday all destinations, concerts, shows and the river cruise. Max our tour guide was 1st class, very knowledgeable, humorous, helpful and caring. The hotels in Shanghai, Xian and Chengdu were good but the one in Beijing was cramped and the ensuite bathroom had mould on the walls. The induite toilet on board cruise ship were of poor quality. All hotels were as good as, or better than expected. All the staff were friendly, efficient and courteous. 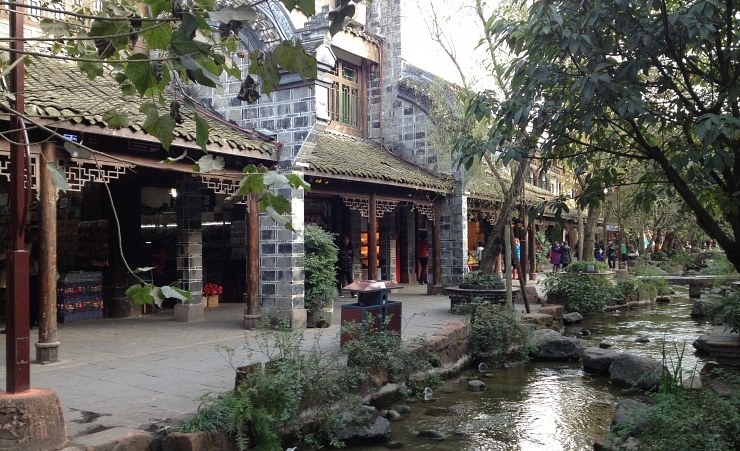 In particular he Tibet Hotel in Chengdu was beautiful and full of character. The organisation of tours, tickets etc. were exceptional throughout. Our guide Max was very knowledgeable, helpful and a good friendly personality. All hotels excellent however room cleaning in the Landmark Beijing needs improving. Surfaces sticky and dusty. The Dorsett Grand in Chendu have a system that links your room key to your floor so you can only travel to that floor, we were not told this on arrival and it was not helpful when the lift door closed on my partner with our cases and he was unable to get back to our floor. He had to go back down to the lobby and ask the lobby staff to take him back up. 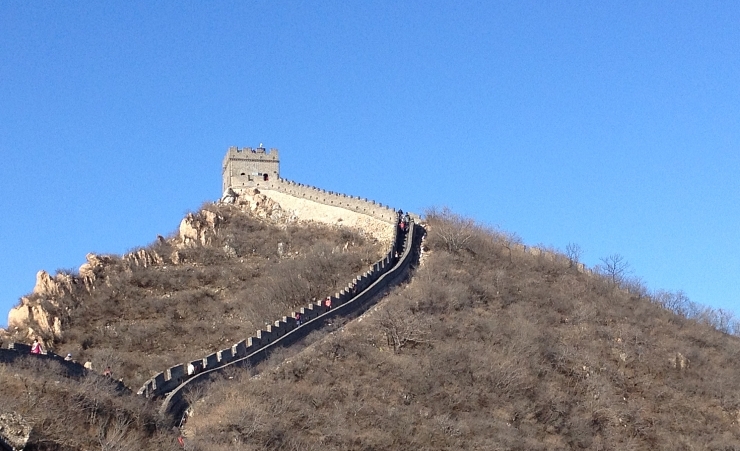 Had a wonderful holiday around China the food, hotels and itinerary was perfect. Our guides were excellent, could not fault anything. All very good for the price. All checking in already done, very good. 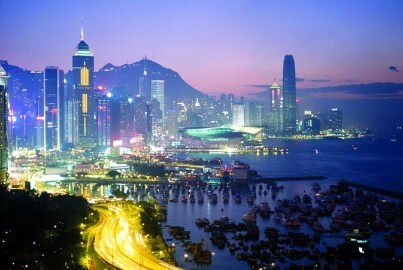 Hotels were clean and apart from the boat and the Degree 8 in Hong Kong quite luxurious. The staff in all the hotels were very friendly, helpful and polite food was very good but it would have been good to have more western food available for some meal times. The Boat Dining room was at all meal times heaving with people pushing and shoving it may be better to select tablesxa few at a time to prevent accidents spillage and buffet tables becoming very messy. Our guide Max was superb, The organisation was beyond reproach. An excellent holiday. With the exception of the bejing hotel the rest were excellect. The bejing hotel (landmark towers) was very dirty (excrement in the toilet from the previous guest and diry room) the smell of cigarette smoke in the room was unbearable even though it was a non smoking room. Well looked after by our tour guide Max for the entire trip. excellent service on the cruise. 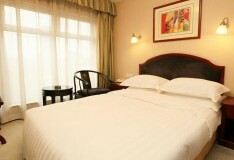 The hotels were all very good, and we were fortunate to have rooms upgraded in Chengdu and Xi'an. The breakfasts taken in the hotels offered extensive choices and the staff were all efficient and courteous. Upgrades were most appreciated - really good hotels all the way through. Western breakfasts available everywhere - could not have been better looked after. A wonderful experience. The tour guide Max was superb throughout. Pace of tour was hard but necessarily so to complete the itinerary. 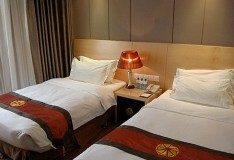 All hotels used were of excellent quality, comfortable and spacious rooms. Could not fault any hotel for quality, cleanliness or service. Very good quality hotels with very large rooms apart from Landmark in Beijing which by contrast seemed small but the hotel was very good. Breakfasts at all the hotels were excellent. General concern about lack of emergency escapes. Some hotels seemed to have only one central staircase. The hotels were of excellent standard although the Titan Times hotel was a little 'tired' and the carpet in the lounge are very grubby. The guide on this tour was outstanding and made this holiday a really memorable one. The holiday was great value for money. The tour was amazing it was truly an experience of a lifetime. The hotel's were excellent ,clean and had coffee and tea making facilities. Staff were attentative and western breakfast adequate. Towels changed each day and rooms cleaned. All hotels were very good, not only the hotels but the service as well. 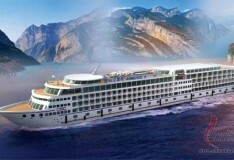 The yangtze 2 cruise ship needs updating but still a good cruise. Food was same lunch and dinner every day. 30 meals all the same was very boring. All hotels were welcoming with good quality rooms and service.I feel it is important to have comfortable hotels of this quality when on a touring holiday as it helps relaxation. All excellent locations, with 4/5* facilities and superb breakfast choices. We especially enjoyed the Tibet Hotel in Chengdu, which had luxurious bathrooms and extra little touches such as top quality toiletries and TV in the bathroom. The national guide, Alan was excellent. Very good English and very knowledgeable as well as being friendly and helpful. The local area guides were also excellent. Gordon celebrated his 70th birthday at Xian, Alan helps us with Jenny to organise a cake, and we would like to thank Alan and Mercury for his gift. Amazing holiday. The hotels in Chengdu and Xi'an were absolutely beautiful. Very high quality throughout the tour. Locations of hotels not so good but made up for with good quality rooms and facilities. Hotels were of a good standard with good choices at breakfast. The Tibet hotel was excellent.The others were good. The upgrade on the ship was worth the extra. All really good quality. Breakfasts were really good with western style included. Plenty of choice to suit all tastes. I had a lovely time and certainly recommend you. No complaints about any of the hotels - all really good and probably better than expected. The whole trip is very well planned. The guide (Richard) was superb in all respects. Every aspect ran smoothly. Highly recommended. Very high standard, especially Titan Times. The Tibet & Titan Times Hotels were exceptional and we were very pleased to have the upgrade. Staff were very helpful and friendly, breakfast very good, rooms very comfortable and luxurious. Landmark Hotel was good, excellent breakfast, staff friendly. Bit mean with the loo paper! The Ocean Hotel in Shanghai was a disappointment compared to the others. Although 5* the staff were unfriendly, breakfast room very small and couldn't cope with the number of guests. Our room had a view of a concrete wall only 6' from the window, mattresses very hard, heating didn't work properly and no hairdryer. It didn't feel like a 5* compared to the others. Although adequate, not nearly as good as the others. The only thing which affected the quality of the hotels was the fact that a lot of the bedding smelled of smoke. A very good all round experience. Our guide Alan was brilliant - spoke good English and made sure everything ran smoothly. He gave us sufficient information on the history and culture of China and what to be looking for at each stop on the tour, without overburdening us. Beautiful hotels, absolutely no complaints at all. Our tour was made so great as a result of our brilliant tour leader Max, he was fantastic and I cant rate him highly enough! The tour is excellent value for money. 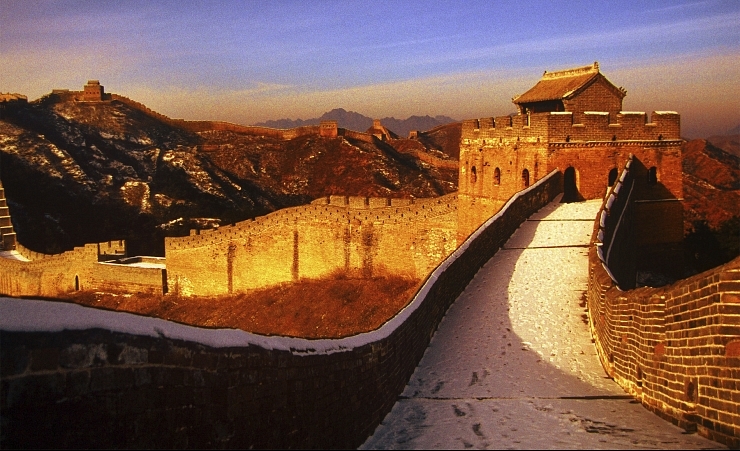 We researched a number of holidays to China and this was the best value by far. We would use Mercury again. Hotels were excellent value for money. All were really comfortable. Great hotels - clean with attentive staff - good breakfasts each morning. Excellent star ratings. Excellent value for money and attention to detail. Everything went to plan. All travel arrangements went like clockwork and we could not fault hotels. They felt like 5 star and the staff were pleasant and helpful. It was a wonderful experience. I can recommend this holiday to anyone with even the slightest interest in China. You do need to like Chinese food.All hotels were of a good standard. The overall tour guide was excellent and looked after the group extremely well. The quality of the tour guide has a critical role in optimising the activities and met the challenge! Overall, the hotel accommodation was excellent. What a great tour. All hotels good standard and the rooms were brilliant. The itinerary was very good. It was a fantastic trip made especially wonderful by our interesting, knowledgeable and humorous guide. The itinerary was really good and local guides were also very helpful and knowledgeable. Richard the guide went out of his way to accommodate everyone he gave over and above. The hotels were all clean and the food was a good quality and variety. Thank you, we had a great experience in China. It was a fantastic trip. Our guide was very helpful and knowledgeable. We are very happy customers. The holiday of a life time. Guide Max was outstanding. All hotels provided an extensive good breakfast, more than adequate rooms with shower, bath etc. Service of staff really good. All Hotels of excellent standard. The tour guide Max was excellent with vast knowledge, and nothing was too much trouble. What can I say about this tour other than utterly ideal. All hotels were as they should have been for this sort of tour, the accommodation on the Yangtze River was beyond expectations. Everything from ticket issue, transfers, internal flights, train journeys all perfection and all ran that way due to our tour guide. I cannot commend Alan our guide to you enough, his knowledge and humour were insurmountable. We are very happy with you as a choice of tour operator and would certainly recommend you and we look forward to our next booking with you which might be a Croatian Island Cruise or a Grand Tour of Sri Lanka. We had a wonderful time, and our guide Max was absolutely brilliant, we had 30 on our tour and he looked after everyone. He was very professional knowledgeable, funny, polite which made our tour really most enjoyable. All the local guides and drivers were also first class. Had a fantastic time on your tour. The food was good and Max the guide was excellent, very professional. The hotels were consistently of a good standard. Our national tour guide, in particular, was excellent as were the regional ones that helped out at each location. We had a fantastic holiday, Richard our guide was excellent. Beijing hotel could be better... was an anti-climax after the exceptional two in Chengdu and Xi'an! Our guide Simon was amazing, made our tour with his humour and local knowledge. A well-organised tour to be well recommended. Excellent hotels, varied food, a wonderful holiday. An excellent tour- so efficiently run and organised- we never even had to wait for our coach it was always there waiting at the designated spot. Local guides polite and helpful and informative All the guides were excellent. Hotels very good and restaurants chosen also very good. Tour guide who accompanied us all the way was particularly good- he catered for our every need and comfort. 1. The room carpet was dirty. 2. The bathroom fan was very noisy. complained to the room service the following day and later the front desk the forth day but noting was done. 3. There was no replacement toilet roll. 4. The room service lady was insisting she cleaned the room while my wife and I were trying to get ready to go out on our tour. As a solo traveller I felt safe and made lots of friends during the trip. All of a very good standard. I have returned uninjured from China. Fantastic holiday. The National guide/rep, Simon was extremely efficient, friendly and had a good sense of humour. He made a good trip, great. I really couldn’t fault the holiday, even looking at it with a deliberately jaundiced eye, all the hotels were good, some were great. The only improvement I can think of (and all our group agreed) would be if we could have flown home direct from Beijing rather than have to take an internal flight from Beijing to Shanghai first. When I get around to it I will put a positive review on Trip Advisor. Every Hotel was excellent with superb locations and services provided. 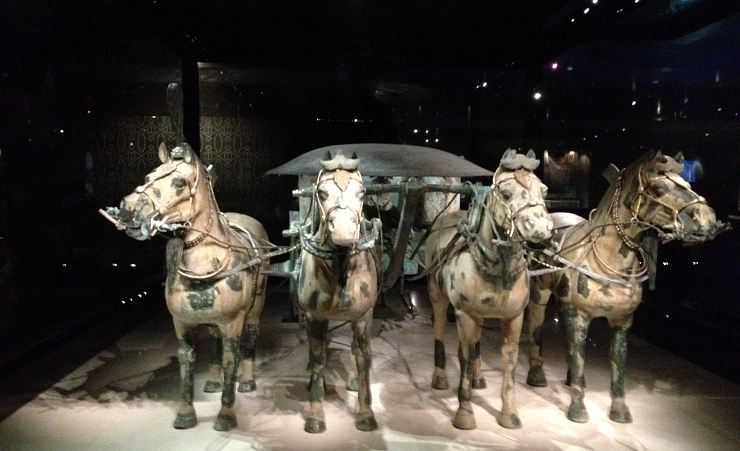 Just returned from your Wonders of China tour. We had an excellent time and will recommend Mercury to all of our friends and relations. The Hotels, food and transport arrangements were all first class and I would especially like to thank our main tour guide Simon Chow who looked after our party of 32 sometimes awkward Brits and entertained and informed us. He was very helpful and friendly and his organisation and knowledge were superb. I would hope that Mercury can retain his services for for any future tours. Thank you all at Mercury for providing such an enjoyable and rewarding holiday and are already considering another tour with you in the near future. This tours was great value with an excellent itinerary. Everything was perfect, Max the guide was excellent. Amazing adventure. Max the tour guide was brilliant. Hotels fantastic, can't believe how much was fit in! So very well organised. Came home exhausted! Food good, rooms large and spacious. The hotel at Xion was excellent. The hotel in Beijing was smaller than the others, but still ok but after the previous hotels was short of space. No hotel had specific space for 2 suitcases, just one. Flight was good with enough legroom but the inflight service left a lot to be desired. One small drink of red wine was served with meal (no white wine or spirits) that was it ! On return flight one choice of meal ran out - so some passengers had no choice. Also would it have been quicker if we could have flown home from Beijing instead of flying back to Shanghai. Particular praise for our guide Alan. We could not have done it without him. It all went like clockwork - which usually means someone working hard behind the scenes to make it happen. Last hotel, the Landmark Towers could have provided an iron & board for the last leg of the tour. Also room a little cramped as we had been pampered in the previous ones. All other Hotels were up to expectation. Very happy with all the hotels quality surpassed expectations. No single supplement was much appreciated. Great service from all concerned. Excellent choice of hotels. A most excellent adventure. Could not falt the whole experience from start to finish. So much fitted into such a small amount of time. We have not enough praise and thanks to the tour guide, MAX, always on the ball and so helpful and patient with us all. Will look to Mercury Direct for our next trip.